Diary It was Ella’s birthday. We went on a boat ride. We saw hippos. One hippo dived in the water. 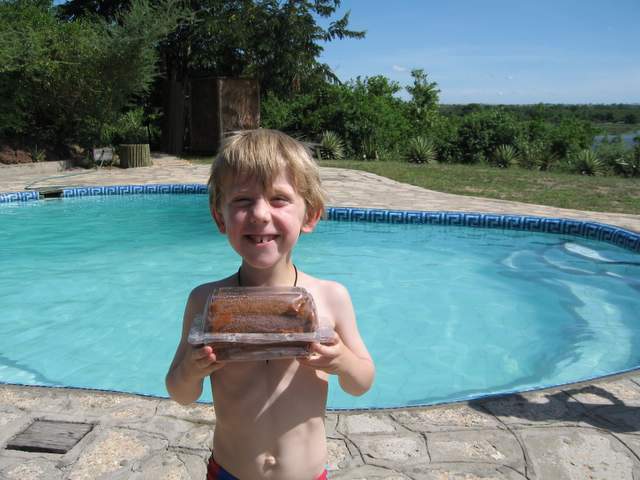 I bought a cake for Ella and went swimming.